Many parolees have been sent back to prison for technical violations of their parole, without benefit of due process. The state has “created a procedural vortex from which people on parole cannot escape and are at continual risk of being rearrested and reentered into the prison system,” the lawsuit stated. In an uncommonly succinct seven-sentence order Wednesday, U.S. District Judge Stephen R. Bough in Kansas City sided with the plaintiffs and granted them summary judgment. Bough’s order came after he certified the case as a class action in January. Missouri will now have to reform its parole policies to meet established constitutional norms. The suit alleges that the Missouri Department of Corrections and its Division of Probation and Parole have blatantly disregarded U.S. Supreme Court decisions establishing procedures to protect parolees’ due process rights. The corrections department did not return a call seeking comment. The Missouri Attorney General’s office, which defended the suit, did not offer a response to Bough’s ruling. Missouri pressures inmates to waive hearings, often doesn’t provide them with lawyers they’re entitled to and presents them with a blizzard of paperwork so confusing they sometimes don’t know what violations they’re accused of committing, according to The Marshall Project, a nonprofit news organization that focuses on criminal justice issues. She said Missouri acknowledged that even when parolees are deemed to be mentally ill or incompetent, the state does not provide them with legal counsel. The practical effect of Bough’s ruling will be to require Missouri to fashion a remedy to cure its constitutional violations. What precisely that will be remains undetermined. “Now that we have a judgment in hand we hope to promptly move forward with implementing changes to ensure not another parolee is returned to a Missouri prison without being guaranteed their rights to due process,” she said. Breihan told KCUR in January that about 6,600 Missouri parolees went through the revocation process in 2017. 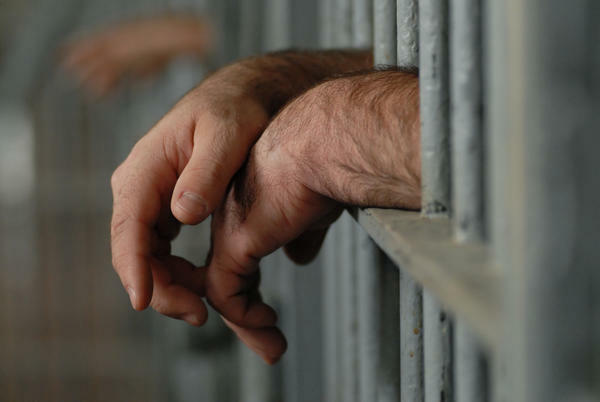 At least 90 percent had their parole revoked and were sent back to prison. Missouri has the 10th highest incarceration rate in the country, with 859 people locked up per 100,000 population. Parole revocations are handled by the state parole board. Missouri is one of 14 states in which meetings and records are closed to the public, according to The Marshall Project. The Marshall Project said that in 2016, the Missouri corrections department’s inspector general reported that a member of the parole board and a staffer had made a game of parole board hearings. They would choose a “word of the day” like “hootenanny” or “armadillo” and earn points by making unsuspecting inmates repeat it.